Many people argue that keywords no longer matter when it comes to getting content to rank on search engines. I must disagree with them. The key is that you must know how to do keyword research the right way. This allows you to identify topics that people are searching for that there isn’t a lot of information about online. This is actually a very simple process if you follow what I like to call the +100 -100 rule. You can do this with any keyword research tool, but as I’ve said before, I personally prefer Jaaxy. If you’re already a member of my #1 recommended resource, then you get Jaaxy included with your membership. If not, you can check it out my full review here. Now, regardless of what keyword research tool you’re using, +100-100 rule is basically this. 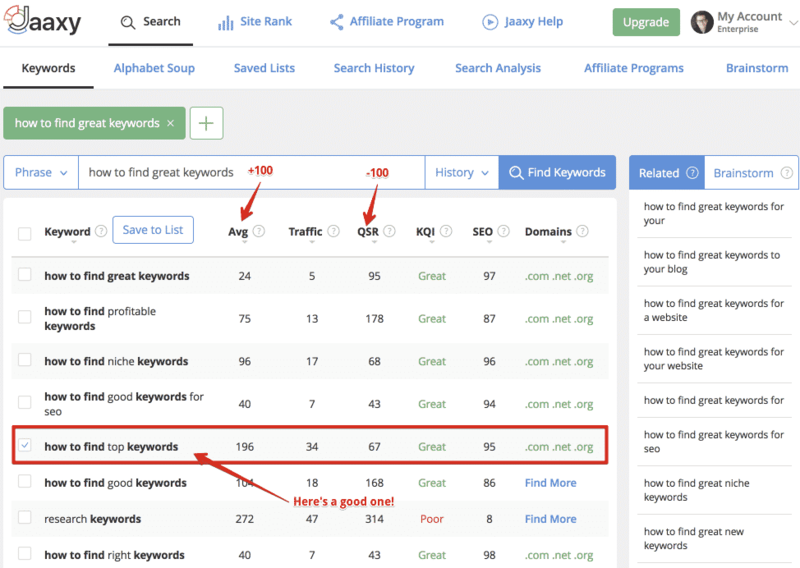 You want to find keywords that are getting at least 100 searches per month and have less than 100 competing websites actively targeting the keyword. In Jaaxy, you’re going to be looking at the average searches (+100) and the QSR (-100) like you can see in the image below. Now, there is one additional step that you must take to be successful with the +100 -100 rule. That step is that your keyword must make “human sense”. This means that it should be a complete phrase. Basically, if it isn’t something that you would naturally say, then it is a keyword that should be avoided. Regardless of how great your keywords may be, if you don’t create quality content, then you’re going to have problems getting your content ranked on the search engines. It’s important that you realize that Google does read the content on your website and then indexes it based on the keywords and overall topic that you’re discussing. So, if you’ve chosen a keyword like “how to find top keywords,” then your entire post should be about ways to find the best keywords for websites, videos, or other online content. Try to keep your posts on-topic, and be as in-depth as possible. Think of questions that your audience may be asking, and then also consider follow-up questions that they may have after they have received the answer to their original question from your content. For example, going back to the keyword above, after telling people how to find the top keywords for their websites, a natural progression would be to discuss the best ways to use keywords for optimal results. Thanks to Google’s RankBrain algorithm, the days of having to stuff keywords in your content are long gone. Now, it’s more important that your content makes sense for humans. Google and other search engines can now detect what the overall page is about without having to rely on keyword saturation. Another great tip for creating content that your audience is sure to love, and search engines will reward you for, is to use things like lists, bullet points and other forms of rich text. This will let your audience consume your content much easier, and if executed properly, could land you a featured snippet like the one pictured below. 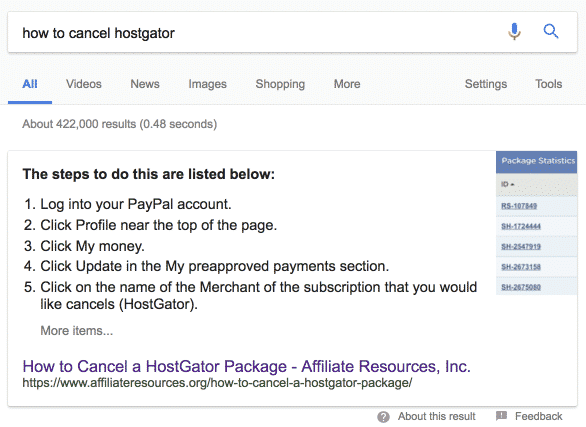 This is based off of my How to Cancel Hostgator post. YouTube is the third most visited website on the Internet. With more than 26 billion monthly visitors, it’s not too hard to see just how much traffic potential it really has. Best of all, it’s easy to get some of that traffic from YouTube over to your website. Since you’re already creating high quality written content for your website, it only makes sense that the next step to gain a larger audience would be to publish YouTube videos. You don’t have to reinvent the wheel here either. Take the content you’ve already researched and created, and turn it into a video format. If you’re camera shy, just create a slideshow and then do a voiceover recording as you go over the slideshow for your audience. You may be surprised just how much traffic YouTube can generate for your website. Even better, since it is a social network as well, you can often gain amazing insights into the types of content that your audience wants to see next. Regardless of what niche you may be in, people always like to have the most up-to-date information possible regardless of what topic it may be on. For that reason, you can often drive significant amounts of traffic to your website and YouTube channel by hosting live webinars. In the past, hosting a live webinar was a very expensive process. Now, thanks to Google Hangouts and YouTube Live, just to name a couple, you can create high quality live webinars for free. If you choose to host live webinars on YouTube Live, you’ll find that you are often rewarded with very high search rankings on both Google and YouTube. You may be surprised at how much traffic you can generate with live webinars. It will also give you the ability to answer questions for your audience in real time. This will help you to understand what your audience needs help with, and will help you to establish an authority presence in your niche. Not only that, but the relationship you can create with your audience by conducting live webinars is one that conveys trust and understanding, so your audience is much more likely to want to come back for more content exclusively from you instead of going to your competition. If you’ve been running your website for very long, then you probably heard the phrase before “the money is in the list”. While this is certainly true, having an email list is much more than just another monetization method. By communicating with your audience via email, you begin to form a relationship as a friend or colleague rather than just another website. It’s very important that you do email marketing the right way though. Always remember that there’s a person on the other end of your emails, and become someone who they’re looking for in their inboxes. You can accomplish this by striving to deliver high-quality fresh content in a friendly tone. Encourage your audience to respond back to you if they have any questions or additional comments. Yes, this does mean that you’ll have to invest a little bit of time every day into reading your emails, but the result is a relationship with your audience that resonates with them on a personal level. That’s the kind of marketing that you cannot achieve with any other medium. Just about everyone has a Facebook account in which most of them check Facebook at least once a day. It’s the second most popular website on the Internet with an impressive 31 billion monthly visits. With paid Facebook ads, you can not only tap into some of those monthly visits, you can tap into only the ones who would be interested in seeing the content you have to offer. It’s important to note that there’s a right way and a wrong way to go about advertising on Facebook. If you’re not careful, you can spend a significant amount of money and never see any traffic to your site. You must make certain that you understand how to properly target your audience, and how to do split testing so that you can understand what type of ads work the best in your niche. Once you understand Facebook advertising, in some niches you can begin to get traffic to your website for less than a penny per click. If you’re new to Facebook advertising, you can check out my #1 recommended resource for some great training on how to do it the right way, the first time. Are You Ready to Take Your Site Traffic to the Next Level? 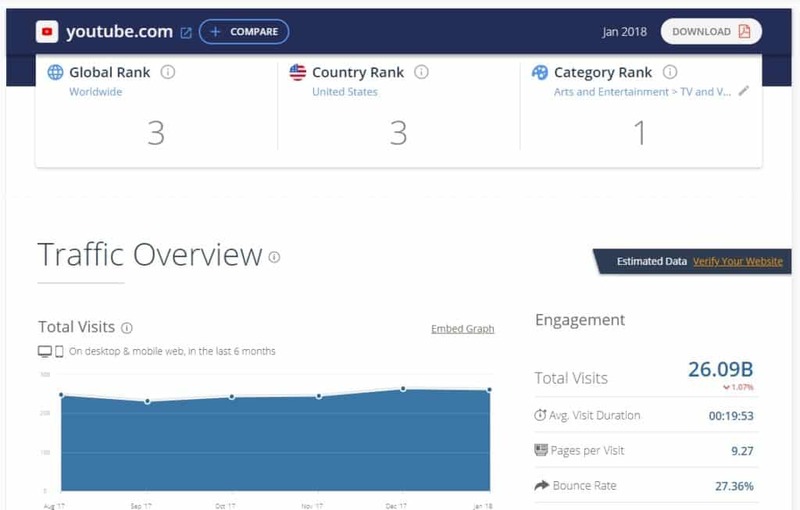 As you can see from the tips above, there are many ways to drastically increase the number of visitors to your website both today and in the future. Every method mentioned above will let you begin to get a surge of new visitors coming to your site, and over time, will allow you to create a collection of resources that will continue to drive traffic to your site for years to come. 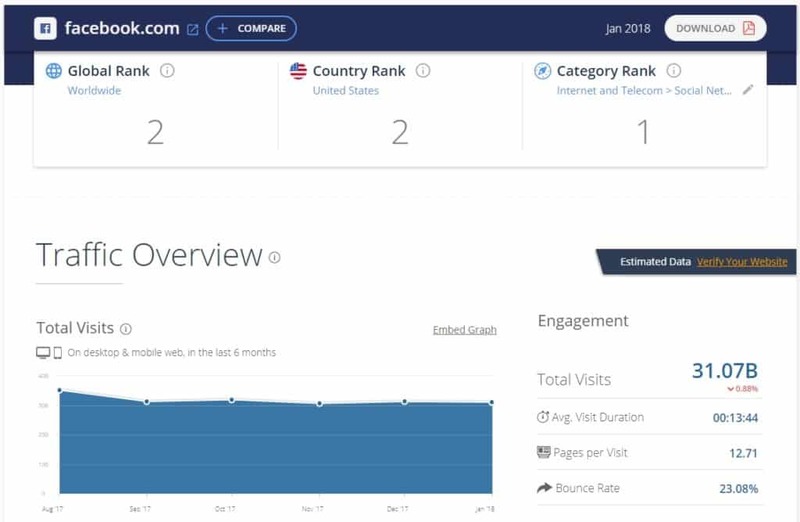 If you’d like to see more great ways to increase the number of visitors that are coming to your website, you can check out some of the different live training classes that I conduct over at Wealthy Affiliate. In many of these live webinars, I show traffic generation strategies that are working today and that will continue to work well into the future. To get the most success possible with your online business, it’s important that you build resources that will not only deliver you traffic today, but also help you to build a brand that is memorable enough that the people consuming your content today will remember where they first saw it further down the road. Jay – awesome post! I’m still kind of new with affiliate marketing, so I’m learning new things every day. But from this post alone I’ve taken a page full of notes. Using rich text making it easier to read (plus possibly landing you on a featured front page list), that’s awesome. Your suggestions about creating youtube videos is great, I haven’t considered making a slideshow, which I think is a great idea for someone like me at this point. Also your pointers for thinking ahead of any followup questions the reader may have, or just thinking thru their thought process to figure out what the next logical step is, and using that to give them content to flow right into, that’s my takeaway here and I’ll definitely be doing it. Jay, do you have a suggestion on brainstorming keyword ideas? Thank you for the valuable tips you have provided on ways to increase website traffic, Jay. I hope the keyword you used here is following the 100/100 rule? Loved your tip about where and how I can produce a YouTube Video. This is something I have been thinking about doing for a while now and think I’ll get on to that. Great post and I”m going to bookmark your site for future references. I didn’t know that google really does read the text. I have always thought they check only the keywords and where they have been used, and that’s it! I guess this is the reason my content has been ranked in the tenth and eleventh page, because it’s thin and is always aimed at more keywords. Thanks a lot for this, I better go get that changed right away. Wonderful article on 6 Ways To Increase Website Traffic. Keyword research has really helped my site get good page ranking and increasing traffic. Also, I like to research my competition. After choosing a +100-100 keyword, I’ll Google it then look at what sites are on the first page. That gives me an idea of whether my content is going to rank there or further back. Most of the time I’m up against the same domains so it’s easy to gauge where my site will rank. Still going to try YouTube and Email to increase traffic.